Whether your currency transfer to South Africa is for a major purchase, a small lump sum or a regular monthly amount of money you are sending to South Africa, Intergate is very well placed to be able to assist. Effecting a currency transfer (sending money to South Africa) is little different than making a purchase of any product or service, but can seem more bewildering. Simply effecting a currency transfer to South Africa is best described as buying rands. You pay a certain price for them the same as you would a house or car. There are a number of currency transfer suppliers to South Africa. These range from your high street branch to companies that specialise in just currency transfers. It tends to be the case but not always that the specialist currency provider will offer better fees and rates than the high street banks. A simple Google search will provide you with any number of options. But does the currency exchange rate really matter? The short answer is yes. A comparison done by send money home on the 8th march 2009, compared £1,000 sterling sent to South Africa and the amount of rand you would receive. The comparison in sending money to South Africa was conducted over 8 institutions, some banks and some currency specialists. It was very revealing and showed some stark differences in how money transfers to South Africa effect effect our wealth. The fees quoted ranged from £25 to just 50 pence, so at the more expensive end of the market the fees quoted amounted to some 2.5% of the currency transfer value. Some of the banks would only allow you to use their currency transfer services if you had an account with them – somewhat restrictive. The actual amount of rands received for your £1,000 varied greatly. The best and the worst could see you lose some R800, or to put it another way, a massive 8%. Imagine if you were buying a house in South Africa, selecting the right way of sending your money to South Africa would have meant covering your property tax (stamp duty). Is it not only the rate and fees that matter when selecting who to use for your currency transfer to South Africa. It goes without saying that service is important, access to experts and credentials of the company. 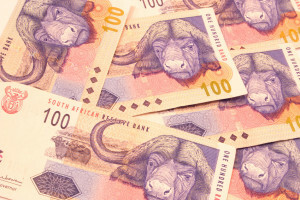 When effecting a currency transfer to South Africa there is also a fairly unique consideration that of exchange control. Very few countries now operate an exchange control system, which is in effect a way of regulating the flow of money in and out of the country, South Africa is one of those that continues to do so. Tax clearance must be issued by the South African Revenue Service. Proof must be shown (in some cases) the funds were part or all of a currency transfer to South Africa and the appropriate declarations made. Although the rules, as said above, seem most prohibitive in sending money out of South Africa it is in fact when the money is transferred into South Africa that the problems begin. A failure to properly declare the funds have been transferred into South Africa, along with the appropriate asset declarations can mean that repatriate of the funds is not allowed or is at best extremely difficult. Should repatriation continue under those circumstances a 10% penalty will be levied. Most foreign banks and currency specialists have little or no understanding of South Africa foreign exchange, understandably so as they are not South African based. So whilst their rate may seem attractive and their fees low this lack of knowledge could cause irreparable harm in later years. Shop around – registrations are free and non obligatory, spend 15 minutes getting comparable quotes and you could be better off by as much as 8%. To enquire about registering with us simply e-mail us, or phone us on the above numbers. Set fees should be ignored to some extend what matter is how much rand you get for your money. Make sure that the currency company you are dealing with has knowledge of South African exchange control. Two easy questions to summarise this are 1. Do they have an office based in South Africa and 2. Are they able to help you if you wish to send money back out of South Africa at any time. Check they are a credible organisation, remember anyone can look big on the web. Follow these simple guidelines and sending money to South Africa should be painless as well as meaning you secure the best rate for your currency transfer to South Africa.